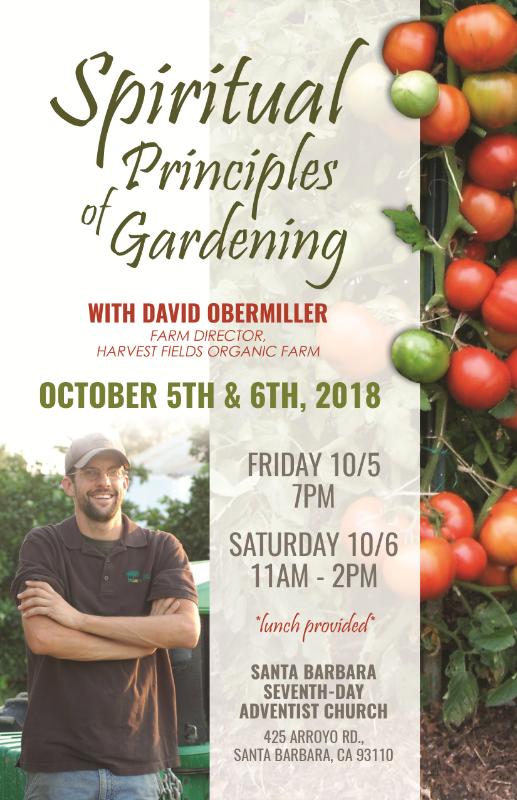 Join us as we learn and discuss Spiritual Principles of Gardening with special guest speaker, David Obermiller. He is the Farm Director for Harvest Fields Organic Farms in Fresno, CA. Join us for prayer and praise. If you or anyone you know is in need of clothes or food, come and let us help. Join us as we come together, as a group, in song and prayer.